Have you ever thought of pursuing a healthy and more balanced lifestyle, but didn't want to sacrifice the taste of food or engage in hours of tedious (boring) sessions at the gym? Well take a trip down to Balance Cafe at the Oasis Center on Sheikh Zayed Road to experience a whole new side of being healthy. Balance Cafe's philosophy on food and life is simple. The food you choose to eat directly reflects on your physical and mental well being. They blend ancient Ayuverdic concepts and "Yogic know-how" with macrobiotic foods to give us a modern spa-oriented tradition. There is a lot going on at this Cafe/Cooking School/Spa/Pilates/Yoga concept.....I encourage everyone to pay a visit. You won't be disappointed! Ayurveda diet recognizes six tastes and it's important to have all of these 6 tastes in your diet every day. Sweet – sugar, honey, rice, pasta, milk, etc. Sour – lemons, hard cheese, yogurt, vinegar, etc. These six tastes are listed in the order they are digested in your body. Including all six tastes in your diet contributes to feeling satisfied at the end of a meal. Cravings are often caused by not having all of the tastes in your daily diet. Many people often omit the bitter and astringent tastes. When you have something bitter or astringent at the end of a meal, it actually reduces your desire for sweets. Incorporating an Ayurvedic diet into your lifestyle will improve your health and its also a great way to shed off some extra pounds. We were served some house-made gluten free bread and rolls with mint chutney to nibble on while we waited for our food. Gluten free bread tends to be a bit too crumbly for my liking, but this one was moister than most I've tried before. Then we enjoyed this delectable Goat Cheese and Sundried Tomato Tart with Beetroot reduction and pesto. It was a nice simple presentation, and a generous portion size for a starter. This could be a decent lunch portion. We were also given this gorgeous grilled King Prawn compliments of the chef! We then strategically ordered our mains, since there were four of us, it made sense for us to order enough for us to share (plus more). The menu had an eclectic mix of everything from Vegetable Biryani to Club Sandwiches and Brown Rice Fettuccine to Pan Seared Dory. Each menu item is well thought out and planned according to the special diet and health code of this restaurant. The Vegetable Biryani was a popular item at our table this evening. My friend Karoline, who typically can't eat spicy food, had just returned from a trip to India. Having been too scarred to try any of the ethnic food on her visit, we convinced her to give this one a try, low and behold, she LOVED it! All the authentic spices were there, but it was light, and not overwhelming to the foreign palette. The main course that stood out to me was this Pan Seared Mustard Coated Cream Dory served with spinach onion relish and tomato vinaigrette. The fish was cooked very well, moist and flavorful, but nice and crispy on the outside. In addition to all this fabulous and healthy food, they also hold cooking classes at this one of a kind location. They have classes that teach you everything from Thai food to Italian, Indian to Healthy Options. 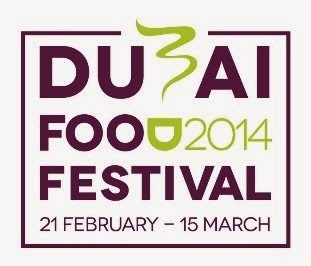 With an all star line-up of chefs from Mango Tree, Carluccio's, Zafran, and Balance Cafe of course, you can't go wrong! With a state of the art teaching facility, it would be a great activity to organize with a group of friend, and then at the end not only will you have gained a wonderful experience but you will get to enjoy all the delicious food you've prepared. Leaving no stone unturned, the "Balance" concept really is about making better lifestyle choices. They also have a Balance Wellness Club/ Spa which offer classes ranging from Yoga to Pilates, plus a variety of special treatments and massages at very reasonable prices. This place is a hidden gem, so make sure you come down to the Oasis Center to check it out for yourself! I had the pleasure of enjoying a feast at the Creekside restaurant in the Sheraton Dubai Creek Hotel & Towers this past week, and it was such a pleasant surprise! With fresh seafood on display in every form (crabs, lobsters, prawns, mussels, fillets and even whole fish) to live cooking stations and a dessert buffet that tastes as good as it looks (the cheesecake was my favorite), this is one restaurant you need to try! The concept is Pan-Asian, but with a focus on seafood. There is an assortment of sustainable fish and seafood on offer that is cooked to order and grilled to perfection with a variety of sauces to suit anyone's personal preference. The sushi station offers a delectable assortment of sashimi as well as maki rolls and nigiri. The sushi chefs are trained craftsmen and are constantly at work making items to replenish this popular section of the restaurant. .The salads and cold starter station was also chock full of Pan-Asian treats from Thai Style Prawns to Crab Salad, it was difficult to pick a place to begin. My favorite item however was the house cured smoked salmon with capers and dill. Not very Asian, but made well, buttery and flavorful, but not too powerful. On to my favorite section, the GRILL! With a selection of seafood such as this, how could you go wrong?! From crab to lobster, salmon to sole everything was fresh to look and taste, but also prepared well. The salmon was good with just a simple salt and lemon, but I enjoyed some of the items with the Thai chilli sauce suggested by our friendly waiter. It especially enhanced the flavor of the lobster and prawns. As I mentioned earlier, the dessert buffet is a colorful assortment of favorites from cheesecake to tiramisu and Creme Brulee to Opera Cake. The Creekside restaurant is a fresh and healthy restaurant concept with a modern Pan-Asian flare. The prices are reasonable for the quantity and quality of food you are getting. The Sunday to Saturday Dinner Buffet is priced at AED 175 without beverages and AED 225 Including house beverages. When you are first seated at the table, the waiters bring a bowl of homemade tortilla chips and two different types of salsa. One resembles a Pico de Gallo and the other is a very spicy hot sauce. We placed an order for the fresh made Guacamole which is usually a gauge of what the rest of the meal will be like. It was made table side with simple flavorful ingredients. So far so good! Know ing how heavy some of the enchiladas and tacos can get, we opted for the traditional dishes. My friend ordered the Filete de Pescado Yucatan marinated in achiote spices. Achiote is made from ground annatto seeds. On their own, these reddish-brown seeds have a woodsy aroma and a subtle earthy flavor. They also turn foods brilliant shades of yellow, orange, and red depending on cooking method and other ingredients. Achiote turns up in one form or another in many major Mexican dishes, from mole sauce and tamales to certain stews and bean dishes. It can be used in a marinade or dry spice rub for grilled meat or mixed with oil to brush onto seafood.This was a very flavorful and surprisingly light dish. Another check! We didn't actually get to try the dessert. I am aware they have a Pastel Tres Leches, Flan, and Crepas De Cajeta on the menu. Will have to come back and make it a point not to fill up before the dessert. The interior is very feminine with pretty white iron fixtures, beautiful drapery, and opulent crystal chandeliers. A very romantic setting for a pleasant and unpretentious evening. After we placed our hefty dinner order, we were brought these complimentary tasters by the chef. It was a warm and creamy tomato soup. A pleasant surprise and a great way to start off the meal. Next up were our starters: an order of Burrata, Seared Scallops with Creamy Polenta, and Beef Carpaccio. In terms of variety Medzo provides a great range of authentic Italian delicacies, but they need a little more work on execution, flavor and texture. The Burrata was a little too dense for my liking, I prefer it creamier and much simpler with just tomatoes and fresh herbs. The Burrata should be naturally seasoned, and should leave it up to the diner whether they want to add any additional salt or pepper. I have to say after all the Burratas I've tried in Dubai, nothing compares to the heavenly Burrata at La Petite Maison. The Scallops were a bit rubbery and the polenta was missing something. The chef claimed it was only made with Parmesan, which didn't sound right, but the texture seemed a bit off. There was also too much greenery on the dish, no need for that much additional garnish. The Beef Carpaccio was also covered in greens!!! Not only the salad greens but also Pesto, which completely masked the taste of the beef. Carpaccio something that needs to be enjoyed in its simplest form, with EVOO, Fresh Lemon, Salt, and Fresh Cracked Black Pepper. It also relies on good quality meat for it to be a successful dish. We also tried a middle course of Braised Lamb Ragu Ravioli with Chantrelle Mushrooms and Truffle Oil. This dish was nicely seasoned, but I couldn't taste any truffle. Nonetheless, we gobbled up ever last bite. If you're reading this Blog entry, you're probably already full, but there are still the main courses, plus dessert to come! My friend ordered the Beef Tenderloin with herb roasted potatoes, simple, but not executed correctly. It was cooked to a medium temperature as requested, but was served cold. The flavors were good and the roasted eggplant side was tasty, but it was also the side with my entree and not included in the menu description for the beef......hmmmmm. My main course was actually very tasty. A simple dish, seared sea bass with an eggplant puree and roasted red pepper coulis topped with oven tried tomatoes, served hot of the grill. The fish was cooked well, with a nice crispy skin and light but flavorful accompaniments. I'm exhausted just writing about this food...I can't believe I actually ate all of it! For dessert we ordered a Cappuccino Souffle and a very traditional Zambaglione. The Souffle was cooked well, light and airy with a heavy sugar crust. I think it's a matter of personal taste, but I don't really care much for Zambaglione. it's a bit too eggy and not custardy enough for me. It's a popular dessert in many parts of the world, including South America, where it's also offered as an ice cream flavor! I'm still dreaming about this fabulous meal.....One of the most elegant venues in the Dubai. The One and Only The Palm Jumeirah is uniquely located on the tip of the last frond of the Palm. You can reach it by ferry which departs from the Jetty Lounge or by driving through the Palm. As we entered this gorgeous restaurant, we were warmly greeted by the Maitre De and Hostess. They immediately walked us over to our strategically situated table facing in towards the restaurant with a full view of service and presentation. We were then presented with fresh Perigord Truffles which we basically had shaved on top of every course possible. Foie Gras like I've never had before with a passion fruit Jellie, gold foil and crispy melba toast. It was served with small slices of toasted brioche. The perfect size for the perfect bite of this rich and velvety treat. For our middle course we enjoyed this Fergola Pasta with Spring Onions, Parmesan Cheese, Botarga and TRUFFLE. There were diced bits of truffle in the pasta, and shaved truffle on top. For my main course, I ordered the Duck with a thick layer of skin which was scored and seared to crispy perfection. It was served with a sweet and sour radish sauce, crispy pommes pailles, and poached apricots. My friend enjoyed the grilled Wagyu Rib-eye from the custom menu, which was tender and juicy and cooked to a medium temperature. We also tried a number of sides, all of which were flavorful and filling. Included amongst the sides were green beans sauteed with butter and shallots, crispy oyster mushrooms, and truffled mashed potatoes on my side. My friend ordered Gratin Dauphinois (with shaved truffles), creamy spinach and mushrooms, and steamed asparagus. I think both of our meals combined covered every side on the menu! After our decadent meal, we were forced to try the delectable sweets found in the "dessert library", an interesting concept, and a first for me. The desserts are actually prepared in the dining room in a section along the far left wall. Against the wall is the "dessert library" with shelves and cabinets filled with pastries, sweets, chocolates, fruits, and cookies. They then gave us 3 options for our dessert order: 1/2 meter, meter, or a la carte. We obviously had to opt for the meter so we could try each. In additon to our meter of dessert we were also spoilt with some frozen deliciousness. This is a violet ice cream. Nothing like I've ever had before, and a very memorable item. The texture was smooth, and the candied violets on top were sweet and floral. We were also served a Yuzu sorbet, which was tart and tangy, but didn't compare to the flavors of this ice cream. My friend Reem and I posing for the camera after one of the most elaborate meals I've ever had. I had to blog this photo simply because the dessert didn't look right with out us next to it. Have you ever seen such a beautiful sight! Stay is located at The One and Only The Palm, Jumeirah. It's a special occasion restaurant, so make sure you bring your appetite when you visit this fine establishment. For more information or table bookings, contact the hotel via the link below, you won't be disappointed!! My beautiful and talented friend Reem Mouazzen was kind enough to host our New Year's celebrations in her gorgeous Marina flat. She was able to whip up some delectable goodies before we began our long night of party hopping. It was an eclectic mix of canapes and traditional Middle Eastern goodies, all of which really hit the spot as a pre-party primer. When Reem throw's a party she does it right, the buffet was complete with Caramelized Onion Phyllo Tarts, Stuffed Grape Leaves, Foie Gras with Toasted Brioche and Onion Jam, Garlic Shrimp just to name a few items. My contribution was the Guacamole with Tortilla Chips plus the Goat's Cheese and Roasted Red Pepper Bruschetta all washed down with Spiced Lychee Juice. No party would be complete without a fine selection of cheeses; Gouda, Parmesan, Cheddar, Boursin, and some cured meats as well. Don't those grapes looks divine! Reem even went a step above and made these cute little finger sandwiches with smoked salmon, dill cream cheese and sliced lemon, garnished and plattered perfectly. The touch of sliced lemon was refreshing in these tasty little bites, I will be sure to use that trick in the future, Thanks! This is a traditional Middle Eastern dish known as Bamieh, an Okra stew. It can also be made with Lamb or Beef, but I much prefer the vegetarian version. The stewed okra balances well with the pomegranate molasses, and with a touch of tomato, a veggie that often gets overlooked (Okra) was able to shine in this dish. I guess you could say we started the new Year off with a BANG! A beautiful evening with beautiful friends. I'm going to miss you Reem, but also support you as you begin a new chapter in your life in London. Thanks again for being such a wonderful hostess, and I look forward to more of our "Culinary Adventures" abroad!